2016-12-14|  N | 114.00|dns-billing@deunet.co.za  |2016-12-15|  1 | 2804829|DEUnet (Pty) Ltd.
2018-01-02|  R | 125.40|dns-billing@deunet.co.za  |2018-01-04|  1 | 2844725|DEUnet (Pty) Ltd.
2a. 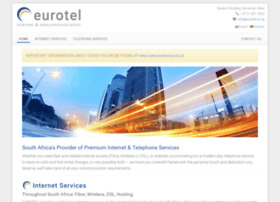 registrant             : DEUnet (Pty) Ltd.
2f. billingaccount         : DEUnet (Pty) Ltd.
4c. admincompany           : DEUnet (Pty) Ltd.
5c. teccompany             : DEUnet (Pty) Ltd.